Digital technology is transforming customer expectations and preferences, challenging leaders across industries to adapt and evolve their business models. The financial services industry is no exception. The mass adoption and global ubiquity of mobile phones, coupled with the digitization of financial processes and services, has created growing customer demand for seamless digital financial experiences and launched a new era of financial technology (or fintech) innovation. As the industry embraces new technology – and the customer data it generates – fintech has helped drive tremendous advances across the financial services ecosystem, reshaping the status quo in a complex and highly regulated industry. Fintech companies are delivering more tailored, convenient and affordable solutions for underserved populations and communities. The momentum in the sector has been staggering with nearly $23 billion in equity investments deployed to start-ups in the past five years alone. Fintech innovation isn’t just coming from the more than 2,000 fintech start-ups in the market today – existing financial institutions are also beginning to deliver their own digital-first products and services, as demonstrated by the recent launch of Goldman Sachs’ new online lending platform, Marcus. Looking ahead, neither start-ups nor traditional financial institutions will be able to single-handedly provide the array of specialized products and services needed to address the increasingly fragmented financial lives of 21st century individuals and businesses. At PayPal, we believe what will ultimately define our future success as an industry is not how well each company performs individually. Rather, in order to effectively navigate an increasingly complex financial system and meet changing customer expectations, companies today must build upon and extend their own unique areas of expertise by pursuing opportunities to partner. PayPal has made a strategic decision to operate as a bridge between fintech disruption and traditional financial institutions; to focus on collaboration and partnership in a time of massive change in the industry. We have embraced partnerships as a core business strategy, concentrating on a new model that seeks to extend the value of our services to more customers, sustain our growth and stay ahead of fast-paced economic, policy and consumer trends. In the last year, we have entered into new partnerships with the world’s largest card networks (MasterCard and Visa) while at the same time making a strategic investment in an emerging fintech platform (Acorns). We are firmly shifting away from viewing other financial services entities through the traditional competitor lens. Instead, we are seeking opportunities where collaboration can help us and our partners expedite the pace and increase the scale of innovation, to the ultimate benefit of our customers. The dynamics of partner relationships can sometimes push leaders outside their comfort zones. To help guide our business, we’ve adopted a principle that we apply to all our partner relationships and decision-making: the customer must be at the centre of everything we do; and customer satisfaction and engagement must be the key metrics by which we measure our success. Customers today – particularly our millennial consumers – expect better, more cost-effective options for moving and managing money. A customer-centric mindset means all partners must make decisions based on what’s in the best interest of the customer, and prioritize customer benefits over other potentially shorter-term considerations. At PayPal, we have established partnerships this past year with card networks and issuers, such as Citi, to embrace a fundamentally different operating model that allows us to exploit each other’s strengths to meet the shifting needs of a larger customer base. Similarly, we’re partnering with leading telecommunications companies, such as Vodafone and América Movíl, to reach ever-larger groups of customers. The ability and will to collaborate is emerging as a strategic imperative in the ongoing digital transformation of the financial services industry – and it will mark out fintech innovators and financial institutions alike from the competition. 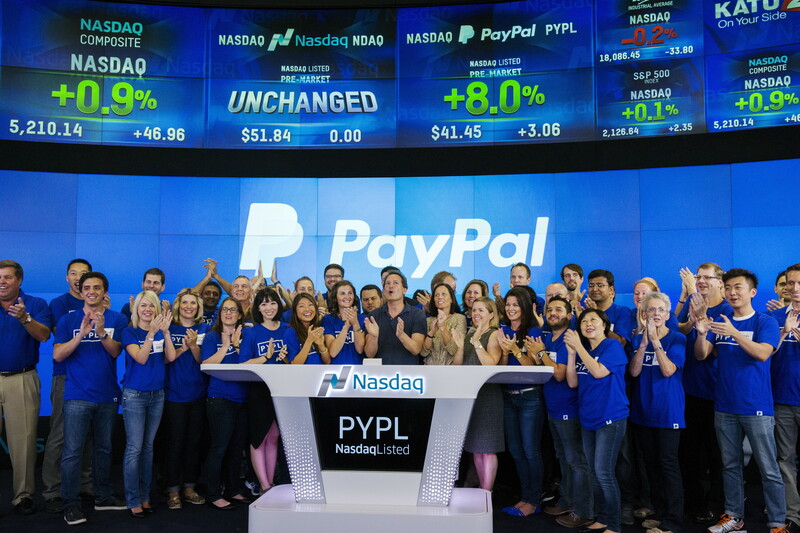 We’re excited about the actions PayPal has taken this year. We – like the rest of the ecosystem – are still early in this journey, but we know that consistently acting with the best interests of our customers in mind is what will ultimately make the difference for our company and the rest of the industry going forward. This approach to innovative partnering can perhaps serve as a model for other sectors trying to navigate the disruptive forces of technology and empower their customers with the most cutting-edge products and services available. When done right, strategic partnerships can provide a path to fully realize the growth potential inherent in the digital transformation facing our respective industries. As the number of digitally connected and engaged people grows globally, the more potential customers there are for all of us to serve and empower. By consistently focusing on how we can create value for these customers, we increase our ability to deliver long-term, sustainable results for all our stakeholders.